A female moose (Alces alces) had a meadow full of leafy trees and bushes all to her self when I found her in West Bragg. I hope to see a few more in these colorful settings before we roll into the next season. This entry was posted on October 2, 2014 by Christopher Martin. 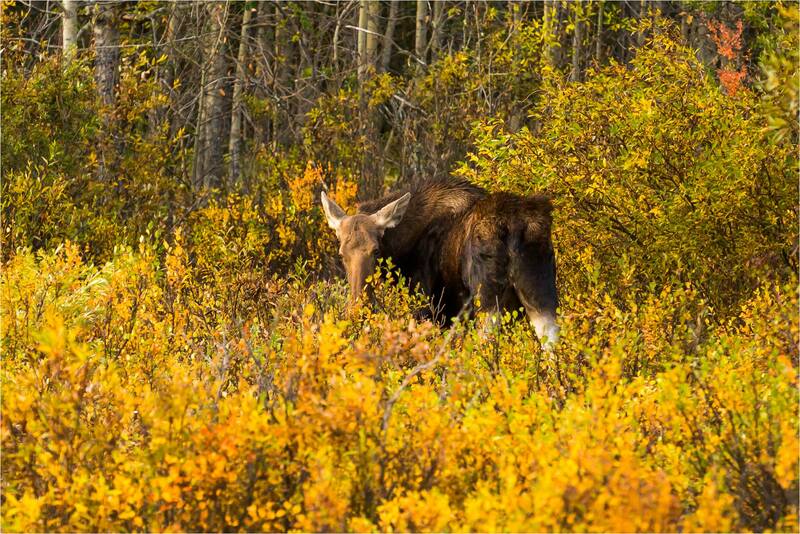 It was filed under Moose, Wildlife and was tagged with alberta, autumn, Canada, fall, moose, nature, wildlife. Great colors…yes, fall is definitely here!